One of the primary concerns of any online business is search engine relevance. Various elements are involved in strong SEO, as discussed in our three-part guide “20 Steps to Make Your Content Rank Higher on Search Engines & Increase Conversions.” One common way to enhance your SERP (search engine result page) standing is to install applications on your server that make your site more attractive to the search engines. In our Real World Scenario series, we look at common questions that clients ask our staff. Many times our users want to know about the capabilities of our cloud hosting plans. The below interaction occurred between our hosting consultant and a client, concerning adding SEO tools to a Cloud Server. We will explore that interaction, as well as discuss various options for general search engine optimization with your private cloud server. Client: Hi, is it possible for me to add SEO tools to my private cloud server? Consultant: Our cloud server option is unmanaged, so you will have full root/administrative access to the server. You will be able to install any software you need. Please be aware of our Acceptable Use Policy when using the server. Generally speaking, though, you can install whatever you want. 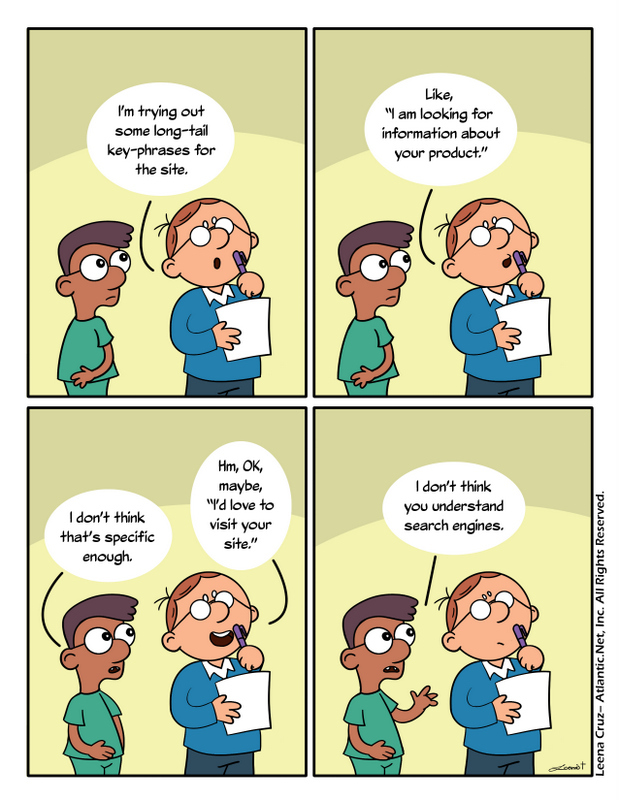 Client: Since latency is a factor in SEO, is there any way for me to test your system? Consultant: Yes, this is a link to speed test, which will give you a sense of latency. If the speed of our cloud hosting environment meets your needs, we will need answers to the following questions in order to provide you with a proposal. How much data storage space? Consultant: Excellent. Here is a link to our Cloud Hosting platform. You will need to choose the XXL plan in order to meet your storage requirement. Consultant: You’re welcome. Have a great day. Determine which URL is canonical – If two URLs lead to the same content (in other words if one page has two different URLs), the search engines will treat each URL as a separate page. When Google thinks your one page is two different pages, you lose half the power of each URL. A Google system allows you to choose which URL is canonical so that the search engines know which ones you want to be credited. Disability-conscious sites – Some elements of site design are especially helpful for users who are disabled so that they can understand the content without being able to see or hear it. Search engines also appreciate it when you fill in optional fields to better describe links, images, and other content components. Optimize your title – Often site are set up to populate a standardized title and description for each page. Search engines have a much stronger preference for sites that display independent information in these fields, even when it’s automated. You can transfer the product name value from your database straight into the title field, for example. Better HTML – Sometimes HTML is messy. If the code isn’t streamlined, the load times are increased, damaging your search rankings. James particularly recommends against ASP.NET WebForms if you want your HTML to be clean and quickly scannable. SEO can be enhanced with a strong cloud hosting service, but a number of strategies can assist your Google efforts as well. By implementing a few simple tactics, you can improve your ranking so that your site reaches its intended audience. We also offer support for WordPress hosting setups, including HIPAA-compliant WordPress hosting – sign up today!